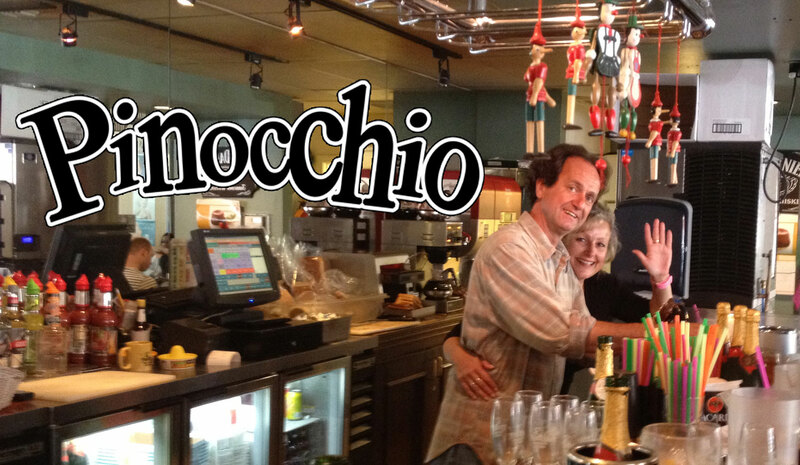 PinocchioPS.com | A restaurant featuring the finest American/European food in an European Atmosphere in beautiful Palm Springs, California. Located in downtown Palm Springs, Pinocchios in the Desert is a relaxing bistro setting with outdoor patio that is both heated and air cooled. Pinocchios features an extensive menu for breakfast and lunch with a large wine and beverage menu. Come and experience the newest restaurant experience the desert has to offer! 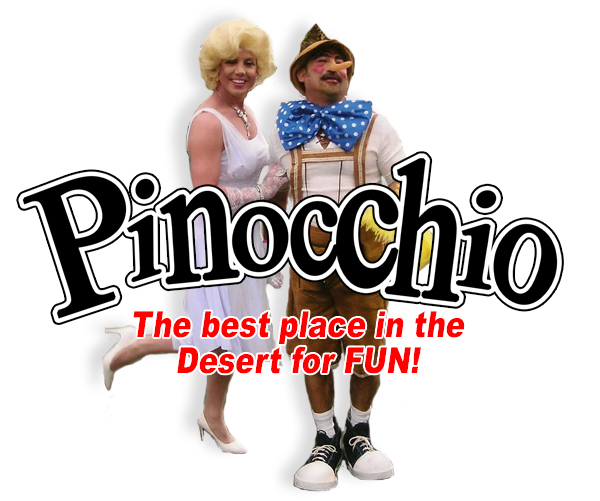 Pinocchio in the Desert is a popular Palm Springs breakfast and lunch bistro restaurant with a warm welcoming lively fun European Atmosphere. Located in beautiful Palm Springs busy downtown tourist district adjacent to all the popular venues and shops in town. 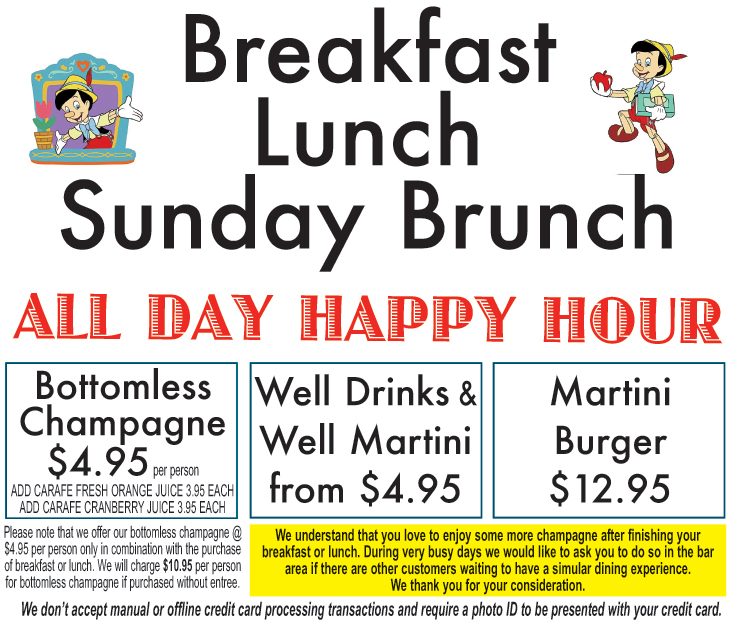 Pinocchio’s features an extensive European themed menu of breakfast and lunch items and also features our signature popular bottomless champagne, as well as large beverage menu. Come and experience the funnest happening restaurant experience the desert has to offer!